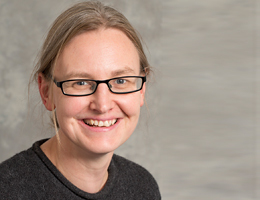 Karen Radner, Professor of Ancient Near Eastern History at University College London (UCL), has been awarded an Alexander von Humboldt Professorship, and becomes the fifth holder of the internationally prestigious distinction at LMU. LMU has once again been successful in the competition for Alexander von Humboldt Professorships. Karen Radner, who was nominated by LMU, has been chosen to receive the distinguished award by an interdisciplinary selection committee appointed by the Humboldt Foundation. Karen Radner has published ground-breaking work on the social, cultural, legal and political history of the Assyrian Empire, and contributed significantly to our knowledge of the history of Mesopotamia and the world of the Ancient Near East from the Mediterranean to Iran. Her research is characterized by an innovative methodology that combines diverse perspectives, drawing on archaeological and environmental evidence as well as written documents and inscriptions. This approach has allowed her to place the history of the Near East more firmly in the wider context of world history. She also chooses unusual modes of publication: She is a supporter of the Digital Humanities and provides open access to part of her work and editions online. When she takes up her Humboldt Professorship in the History of the Ancient Near and Middle East in LMU‘s Faculty of History and the Arts, Karen Radner will undoubtedly help to stimulate a change of paradigm in the historical sciences in Germany. For the establishment of this new Chair in the Department of History at LMU means that – for the first time in Germany since the traditional boundary between the two fields was drawn more than a century ago – the age of Classical Antiquity and the preceding epoch of Near Eastern history dating back to 3000 BC can both be studied within a single institutional framework. This represents a striking extension of the Institute’s horizons beyond that of the Greco-Roman world. Born in 1972, Karen Radner studied in Berlin and at Vienna University, where she received her doctoral degree in Assyrian Studies in 1997, at the age of 25. Her dissertation received the accolade Promotio sub auspiciis praesidentis rei publicae Austriae, the highest distinction awarded for a graduate thesis in Austria. She went on to hold research posts at other institutions, including Helsinki University and LMU, where she completed her Habilitation in 2004 at the Institute of Assyrian and Hittite Studies. In 2005 she moved to UCL, becoming a Reader in the Department of History there in 2008. She was appointed Professor of Ancient Near Eastern History at UCL in 2010. As an acknowledged expert in cuneiform script, Karen Radner has taken part in archaeological excavations in Syria, Iraq and Turkey. From 2008 until 2012, she also directed an international research project on “Mechanisms of Communication in an Ancient Empire: The Correspondence Between the King of Assyria and His Magnates”. Karen Radner joins systems biologist Ulrike Gaul, astrophysicist Georgi Dvali and philosophers Hannes Leitgeb and Stephan Hartmann as the fifth Humboldt Professor on LMU’s faculty.